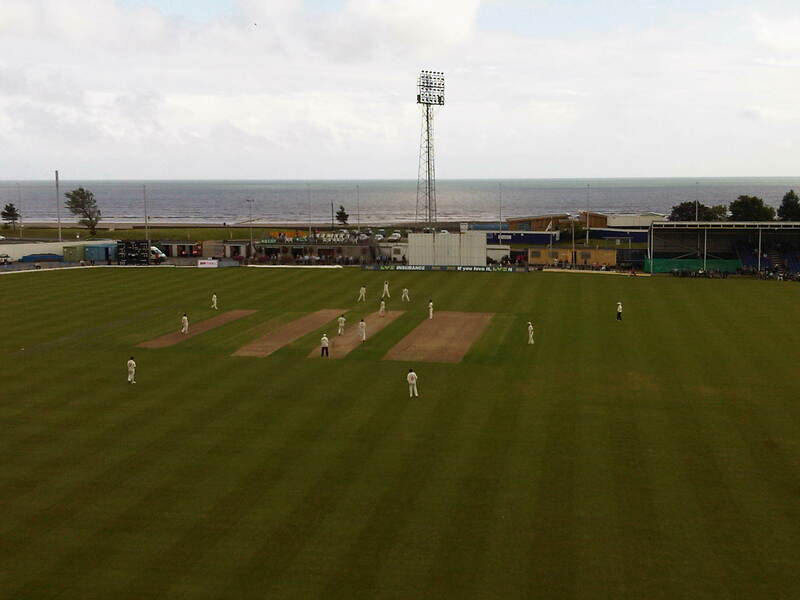 There is no other ground in the UK that is able to offer the unique experience of watching first-class cricket with a magnificent sea view whilst at the same time entertaining clients or holding a business meeting. Hospitality and sponsorship are important ingredients in the continued success of the Swansea and West Wales Cricket Festival. The very positive feedback from those businesses or individuals who have taken corporate hospitality and sponsorship packages in recent years shows that the Festival is also important to them and their clients. Feedback also shows that supporters and hospitality clients derive greater enjoyment when it comes to attending games at festival grounds. St. Helen’s, with its superb maritime location overlooking Swansea Bay and the Mumbles, certainly comes high in this category. As we all appreciate there would be no first-class cricket played in West Wales without the support the Balconiers receive from the business community and the financial institutions across South and West Wales. We continue to be most grateful to all those companies and individuals who had taken up the various hospitality packages during the five-day event. Very many of you have been supportive year-on-year and your unquestionable loyalty is much appreciated. Our thanks also go to the numerous cricket clubs and old pupils’ associations who come for a cricket day-out, and who regularly enjoy our ‘Cricket Club’ hospitality packages. The Balconiers are delighted to confirm that once again Peter Lynn and Partners Solicitors will be our main sponsor for the 2016 Swansea and West Wales Cricket Festival. Once again we have been successful in negotiating a range of packages with Swansea RFC. Our hospitality packages represent excellent value for money and compare extremely favourably with other sporting venues across South Wales. We invite you, therefore, to consider choosing one of the hospitality or sponsorship packages on offer. 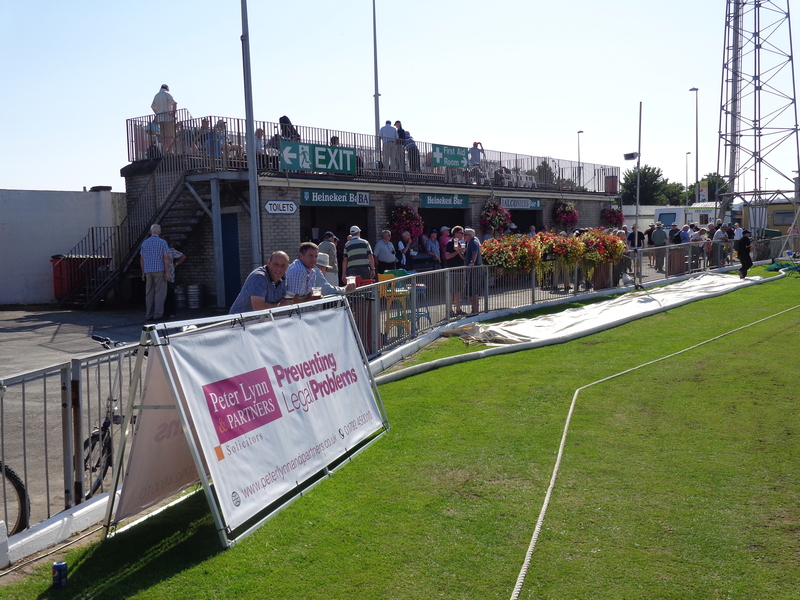 You could bring friends, family or business colleagues for a day out at St. Helen’s, enjoying cricket at probably the most historic of all out-grounds in the UK – and at the same time helping our on-going campaign to ensure that Festival Cricket continues to be played at Swansea. We are pleased to announce that all our hospitality packages have been held at 2015 prices, and continue to represent excellent value for money. This year’s fixture format enables us to offer the sponsorship packages on four out of the five Festival days – Sunday, Wednesday, Thursday and Friday. We also have a suite for 40/60 people. Package B – This package is available for tables of ten in the St. Helen’s Lounge/President Suite and includes a three-course business carvery lunch and afternoon tea. Package C – This package offers the opportunity to add business facilities to Package A (priced on multiples of ten people). Why not use your hospitality suite for an educational, marketing or promotional seminar before the cricket starts? We can support your early start with light refreshments at a small extra cost. This includes VIP match tickets for five people plus a three-course business carvery lunch and afternoon tea available in the St. Helen’s Lounge/President Suite. This is the same as the match ball above but it is for ten people. We hope one of these options will be of interest to you. We are pleased to be able to again offer a special additional offer for members of cricket clubs. This is available for parties of ten or twenty people in the St. Helen’s Lounge/President Suite on any of the first four days of the festival. In recognition of your loyal support in helping us to secure Festival Cricket at St. Helen’s, you will be able to purchase tickets on a priority booking basis for International Matches at the SSE SWALEC Stadium through the Balconiers.